For senior Sesen Beyene, celebrating Thanksgiving means a little more to her than what the holiday tradition typically holds. After coming to the U.S. from Eritrea in 2006, Beyene has had to leave behind many of her family members back home. Beyene and her family have had to make do without them, but this somewhat worked out in the long run. “Thanksgiving is very important to my family because we don’t have a lot of blood relatives here. The concept of being grateful has now really grown on us because of this,” senior Sesen Beyene said. 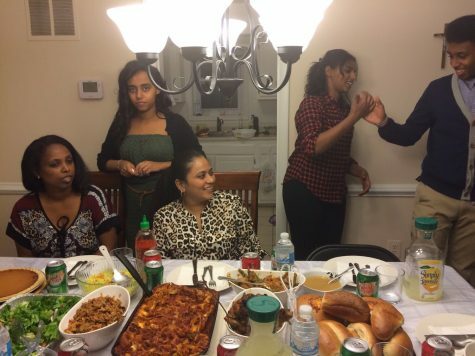 Thanksgiving for senior Sesen Beyene consist of reuniting with family members while eating a combination of traditional Eritrean and American foods. 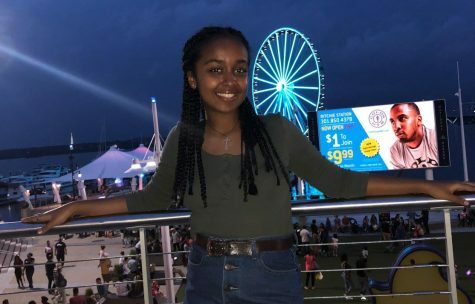 This hasn’t stopped Beyene and her family from attempting to connect with other friends that they have made while being in the U.S.
“We have made many new friends who have made us feel welcomed into their home, so we spend this holiday with them,” Beyene said. The growing relationships that she and her family have developed throughout the years with these people is what makes Thanksgiving important to her. 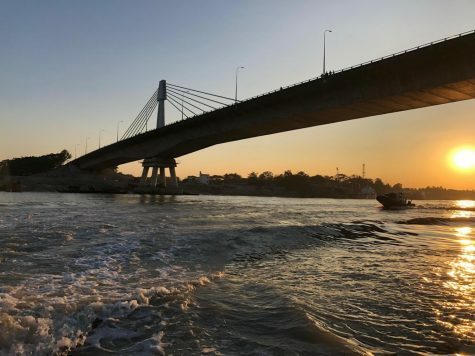 Attempting to find a balance between her Eritrean and American customs used to be difficult for her to deal with, but years of practice has taught her how to accommodate both ends of the spectrum. “We make sure to include foods such as kay tsebhi, which is a spicy meat stew, and doro wet, which essentially is the same thing, but is made with chicken and eggs instead,” Beyene said. Traditional Thanksgiving dishes such as turkey and pie are included into their menu for the day as well, which only represents one aspect of their attempts to combine two cultures into one. Within the Beyene household, their Thanksgiving combinations haven’t changed much since they first began. 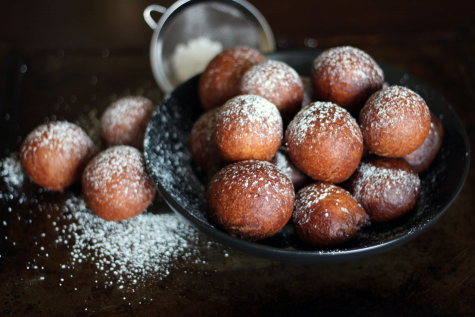 “My cousin and I first get together a week ahead of time and plan out what foods to make for Thanksgiving, we have at least one new dish to try making each year,” Beyene said. “From there, we divide up the work between families, and start the actual cooking about two days in advance,” Beyene said. Family bonding is very important in the Eritrean culture, and the kitchen is always symbolic of the food and memories which are being made. “Every year, my siblings and I make wings for the holiday. It’s our long-standing tradition, and this is one of the things we have to have,” Beyene said. Once food preparations are taken care of, the rest of the Beyene family begins to arrive in the late afternoon. The Christian faith is heavily implemented in the Eritrean culture, so including this aspect into their day is considered to be a major portion of their traditions. “One of the elders in my family will lead a long prayer to bless the food, then we all dig in,” Beyene said. Afterward, a coffee ceremony is held in the living room, which consists of preparing the coffee beans at home and drinking multiple rounds of it in miniature sized cups. This then leads up to the Beyene family than sharing among one another what they’re thankful for, as a way to keep the Thanksgiving tradition in their routine for the day and to express their gratefulness for one another.